Once again, I have purchased more seeds, and bulbs, than there is room in my garden. Sometime in the last few months I got on my computer and purchased promises of lupines, poppies, forget-me-nots, hollyhocks, sunflowers, aquilegia, and other random seeds I don’t remember purchasing. The seeds weigh more than 8 oz all together, which a rough calculation is about 6,000 individual seeds. If I manage to grow them all I wouldn’t have room to plant them. Any way wish me luck. I source my seeds mostly from seed houses who offer heirloom seeds. I prefer to support companies who make the effort to produce heirloom seeds. 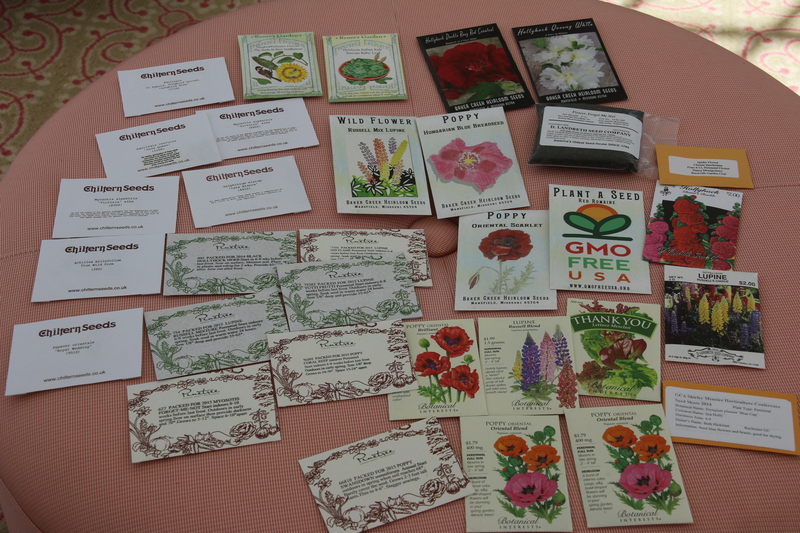 Heirloom seeds are tried and true varieties. They have a known history of performance and flavor and usually disease resistance and other desirable characteristics. This means that, unlike hybrids, the heirloom seeds collected from one year will reproduce plants with most of the characteristics of the parent plant. This is a key to survival of the species. And an important part of maintaining plant diversity. Heirlooms are the antithesis of GMO. And oh! I also found 25 Purissima tulip bulbs in the vegetable drawer of my refrigerator. I’ve planted them up and – inspired by my friend over at Garden in the Burrow (http:/www.gardenintheburrow.com) – I am trying, for the first time, to force them to bloom indoors. 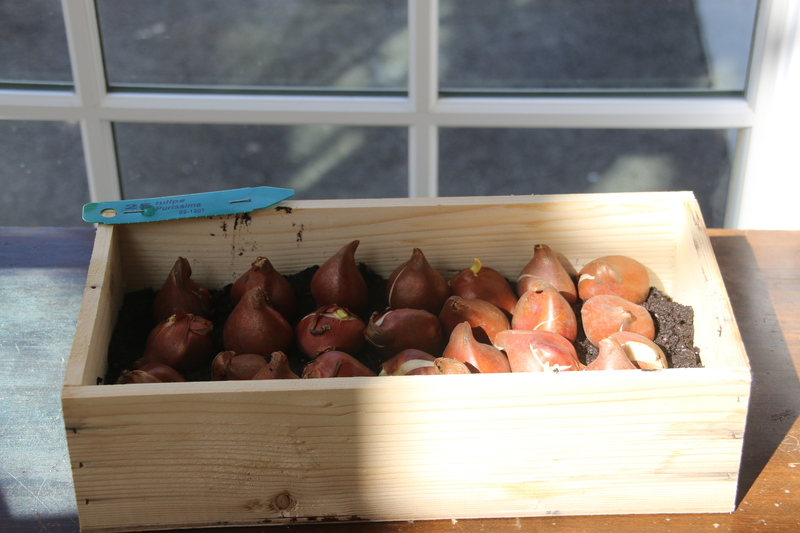 If I’m successful with any of the 6000 seeds or 25 bulbs, I will be sure to post about it and let you know. Can’t wait to hear how you manage with 6000 seeds! I guess the rigors of this winter overwhelmed you. I managed to escape it for one month in Florida so was unable to send my congrats on your wonderful news of the cover photo. All best wishes for the anticipated return of Spring and your forthcoming garden event. Cute title, lots of seed. Good luck since you mentioned not having the space. I’m glad I’m not the only one who does this. Gardeners are such optimists! – I’m partial to the Renee’s Garden varieties since I worked for Renee for quite a few years. She puts her heart and soul into her seed line. Good luck!